Tally lives in a world where your 16th birthday brings aesthetic perfection: an operation that erases all your flaws, transforming you from an "Ugly" into a "Pretty". She is on the eve of this important event and cannot wait for her life to change. As well as guaranteeing supermodel looks, life as a Pretty seems to revolve around having a good time. But then she meets Shay, who is also 15 - but with a very different outlook on life. Shay isn't sure she wants to be Pretty and plans to escape to a community in the forest - the Rusty Ruins - where Uglies go to escape "turning". Tally won't be persuaded to join her, as this would involve sacrificing everything she's ever wanted for a lot of uncertainty. When she is taken in for questioning on her birthday, however, Tally gets sent to the Ruins anyway - against her will. The authorities offer Tally the worst choice she could ever imagine: Find her friend, Shay, and turn her in or never turn Pretty at all. What she discovers in the Ruins reveals that there is nothing "pretty" about the transformations...and the choice Tally makes will change her world forever. ©2005 Scott Westerfeld. All rights reserved. (P)2015 Simon & Schuster, Inc. All rights reserved. This is one of my all-time favorite books. I've worn out two paperback copies over the years. Now that I'm a mom with young kids, it's hard to find time to sit and read, so when I found Uglies on audible, I was ecstatic. Emily Tremaine is decidedly less so. Not only was the reading emotionless and flat, her odd placement of inflections was maddeningly off on several occasions, distorting the meaning of the dialogue. 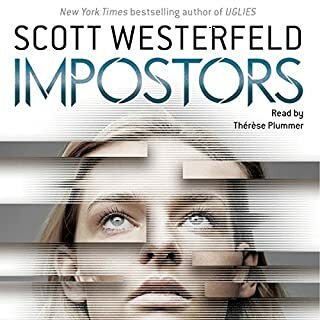 Scott Westerfeld is an amazing author. Uglies and its sequels deserve the high praise and popularity of The Hunger Games, Divergent, and other critically acclaimed YA series. Would I buy this book again? I probably will one of these days. In print. On audio? Only if someone else is reading it to me. 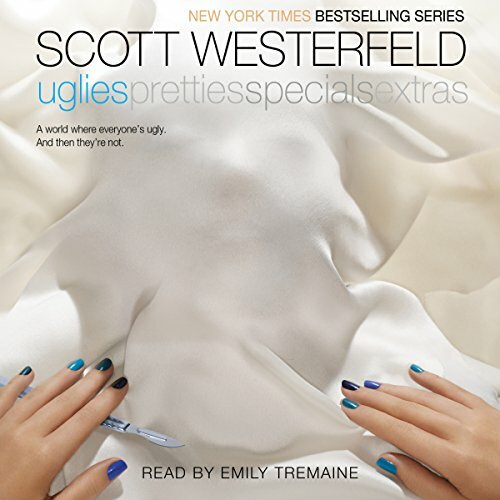 I'm a big fan of the Uglies series and Scott Westerfeld. He writes interesting stories and characters. Unfortunately Emily Tremaine's reading drags the story down. She has a nice soothing voice, more suited to a relaxation mantra rather than an action-y story of tricks and escapes. It's not bad enough for me to not listen to the rest of the series but I definitely recommend purchasing the books as well so you can get the real feel of a good story. I thought this book was good. It was kinda slow at some parts but it overall was a good read. I didn't really like the reader she was ok. She doesn't have that much emotion. 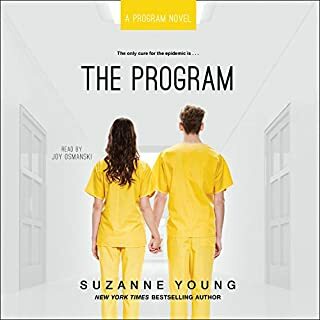 this book really took over my mind and body it felt like i was actually there with the characters in the book saying and doing everything they did.it was a really amazing experience. If it wasn't in my recommendations.. The book was okay I listened to it because it was in my recommendaitons, the summary seemed like it would be good. But I don't feel like it was that attention capturing to be honest. 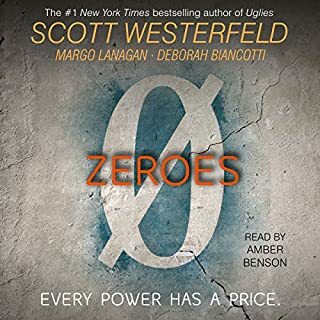 Would you be willing to try another book from Scott Westerfeld? Why or why not? I'm going to read the rest of this series only because I don't like to start a series without finnishing it. What three words best describe Emily Tremaine’s performance? Her performance seemed pretty montone compared to some of the other's i've heard. Would you consider the audio edition of Uglies to be better than the print version? I've actually read the print version a long time ago. Audio is great. Listening to the book is like having a movie in your head. I'm not sure if say one is better than the other. My imagination is great. With and without a narrator, the book is fantastic. My favorite scene was when Tally decided once and for all which side she was for... and fought like hell to stay there. 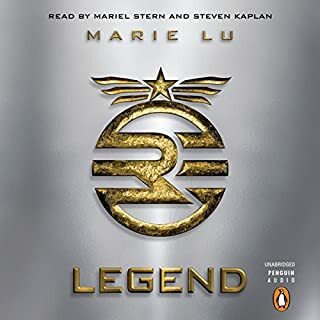 This is a great series with a fantastic narrator. It is well worth the credits or money spent. I feel like the female characters were constantly focused on men or their own looks. The author made Tally's friend look so 1 dimensional. Perhaps there is a purpose in that which I will find out when I happily read Pretties. The book leaves off with a major cliff hanger as though you are forced to keep reading. I don't mind but I do find that to be a cheap tactic. This is definitely not ugly! I loved the story!! The plot was amazing and very well thought out. I enjoyed the characters--especially the main protagonist. Unlike any other main character in YA dystopian, in this series you watch Tally learn from her experiences and grow as a main character should. 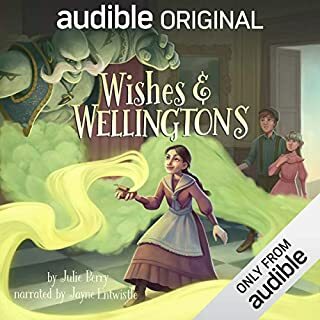 I listened to this audiobook (both narrations--2008 and 2015). I didn't like neither narrator; however, I preferred the 2008 version more just because the narrator has more personality. Makes you think about our societies view on being pretty with a Sci-fi twist. How important are looks to you? 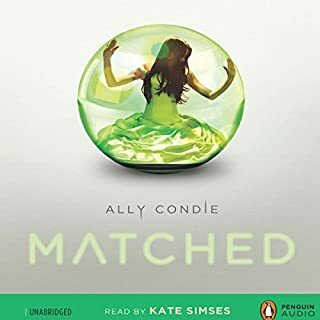 I stumbled upon this book after listening to ‘the girl who dared’ series (which is also a must listen/read) and this series did not disappoint. I loved the different types of characters that Scott created and the narration was spot on. The way in which Scott describes the world in which the series takes place is also very good, allowing the listener to conjure up a vivid image. Great narrative, and story. It kept me absorbed all the way through, and can't wait to listen to the next book. As a fan of dystopian literature I was intrigued by the unusual and relevant storyline. Its not the most beautifully written and the narrative can feel a little stodgy at times but a highly entertaining story! Can't wait to delve in to the rest of the series! I loved the premise of this story and couldn't wait to see what happened next. The events and characters were interesting and there were a few surprises on the way. Unfortunately, it felt like the writer just got bored at the end. I was listening to it as an audio book and was completely shocked when it just finished. Too much was left unresolved and to the reader's imagination. I much prefer my books to have a proper ending. The story isnt special or suprising but it is an interesting listen that goes quick. This series has been my all time favourite since I was a kid. Very digestible plot, amazing characters and a great, unfolding story arc. The voice actress is amazing. She is very talented, fantastic diction and no exaggerated emotion that feels fake. But variation between characters voices needed to be a bit more obvious; had trouble differentiating characters at times. I loved this book when I read it in Year 10 for school and I love it still listening to it on my drive to and from school where I teach Year 10 English... Maybe I'll find a way to slot this into our reading schedule!